My Weekly Pull is something I do every Wednesday to show which comics I had pulled for me that week! 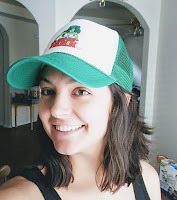 If you're into comics, or you're looking to start, please join me! If you decide to do your own post, leave a link in the comments. I would love to stop by and check it out! Synopsis (via Goodreads): Renowned for their courage, their chivalry, and their ability to fight mythical creatures, the Knights of the Round Table must face their most dangerous opponents yet—DINOSAURS! This heavily illustrated middle grade novel from award-winning author and artist Matt Phelan is a hilarious, rip-roaring tale of derring-do perfect for reluctant readers and fans of How to Train Your Dragon and The Terrible Two. This sounds like it'll be so much fun to read with my kid! I've always been a fan of King Arthur and the Knights of the Round Table, but throw in some dinosaurs and I'm sold. My son is also obsessed with dinosaurs, so win-win! This synopsis says it's full of "uproarious knightly hijinks," so I'm hoping it delivers. We're also big fans of How to Train Your Dragon. I am so behind on my comics and I don't read anything ongoing at the moment, but maybe I will join your Weekly Pull at one point! West Coast Avengers sounds like a lot of fun so maybe I will keep an eye out for that one! Random question: Does your library let you borrow comics? Does it even offer comics? My local library does not, but others have mentioned being able to check out comics from theirs. 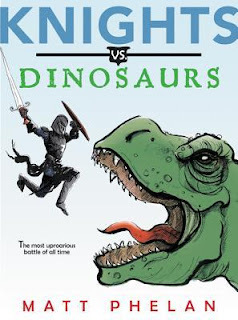 My son is obsessed with dinosaurs and knights so I will have to check that book out! If the story is as good as its description, I think it'll be a lot of fun to read! It comes out next month, so we don't have to wait too much longer. That one does sound like a ton of fun. :) I've heard great things about The Wild Robot. Good to know! I recently started the audiobook for Winter by Marissa Meyer, and I was thinking about listening to The Wild Robot next. Originally, I'd requested it to listen to on a road trip to see my parents (thought it might entertain the kiddos), but it wasn't available until now. Yeah that's a pretty awesome cover for West Coast Avengers! I think when the trade comes out I'll pick it up (yes I'm one of THOSE people now lol)- I never used to be but I just can't be bothered to hit my LCS every week anymore. Laziness basically. :) I do love the retro movie poster look. Knights vs Dinosaurs looks totally fun. I feel like waiting for them to be grouped together is a better option financially, but I would miss all the beautiful covers! I don't know... we might switch to that one day, but for now we visit our LCS once or twice a month. It just depends on when we're out and in the area. I hate driving out there JUST for that -- city traffic is terrifying. Hah! This book sounds like such fun, and I love that it's illustrated. I think that will up the enjoyment factor! Knight fighting dinosaurs? Fun! I LOVE that cover and it sounds awesome!